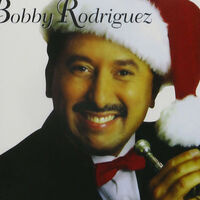 Grammy nominee Bobby Rodriguez is a first-rate jazz trumpeter and a dynamic leader of jazz and Latin ensembles. Known for his fiery and sensitive brand of trumpet playing, he has performed and recorded with an illustrious array of world-class musicians, including Quincy Jones, Herbie Hancock, Poncho Sanchez and Ray Charles. From the salsa-drenched "Have Yourself a Merry Little Christmas" to the bolero-infused “Silent Night" and “The Christmas Song,” Latin Jazz Christmas is a delightful show bursting with sizzling jazz rhythms, Latin flair and an exuberant spirit of Christmas.